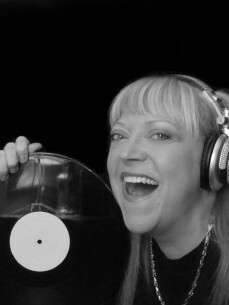 DJ VAL, is Chicago's longest running female DJ. This warm, incredible and kind DJ has sustained and flourished in the music industry with all of her life’s battles. She started spinning records in 1973 for friends at an after-school latchkey kids program. From there, Val went on to spin at some of the trendiest clubs in Chicago and around the World. Through her successful Dj career, as she continuously lifted her crowds week in and week out, she battled and beat graves disease, bladder cancer and thyroid cancer. This is the true meaning of a superstar DJ. DJ VAL has been recognized an honored by the Architects of House as one of the 100 most influential DJs in the Chicago House Music scene between 1975 and 1995. Val plays a wide variety of genres to include EDM, house and whatever it takes to move a crowd. She is most likely the only DJ in the world to have held three consecutive 16 plus years Club residencies. Cadillac Jacks 16 years, Marianna's 17 years & Studio 31 17 years. Along with her successful DJ career she has owned her own Internet Radio Station. Having a DJ career with such great longevity would only be followed with a producing and remixing career to mirror such success! DJ VAL's very first remix, The Freedom Mix for Teri Bristol's Tom-E’s Theme, sung by Georgie Porgie went #1 on the Kings Of Spins Worldwide chart, it entered the top ten on EDM America, hit #54 on the iTunes dance sales chart. DJ Val has released her first single “Rise Again” that speaks to the testament of her life! The single has gone #1 on Kings of Spins as well as #3 on the National Mix Show Chart for the US. The success of the single has taken this legendary Diva from Miami to Ibiza and LA to New York and everything in between. During her hectic touring schedule Val still carved out studio time to remix Georgie Porgie’s single “Keep On Lovin’ You” and record a new single. Her remix of Georgie’s single has propelled it to the #1 position for 2 ½ months on the charts! Val’s new single “Bouncy House” released mid 2015, has earned her a second #1 record! This Superstar DJ is the real deal! Just ask her fans around the World as they continue to testify their Love for this musical vessel! "Life is short, have fun, surround yourself with positive people & do what you Love"